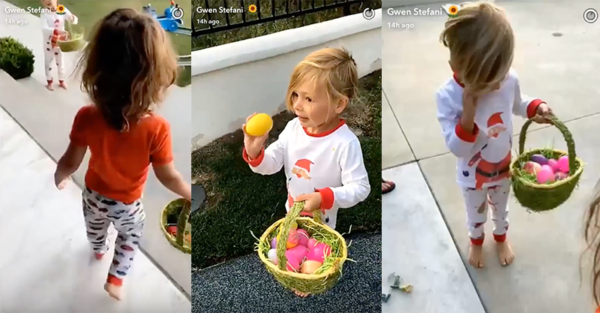 Gwen Stefani Snapchatting her pyjama-clad, sleepy-faced kids on their Easter egg hunt is the heartwarming boost you need on this post-holiday Tuesday. 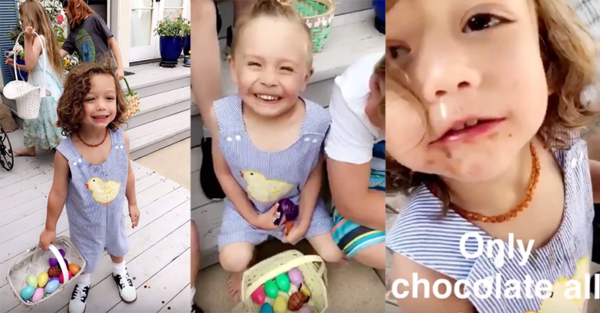 Gwen Stefani has snuck us into her family’s Easter break, posting some cute snaps from Sunday morning on her Snapchat and giving us a fly-on-the-wall view of her kiddos and their squeal-filled egg hunt. Her videos feature three-year-old Apollo, eight-year-old Zuma and 10-year-old Kingston, her sons with ex-husband Gavin Rossdale – and plenty of friends too. The kids are in the backyard, baskets hooked over arms, darting about in search of a very, very large number of colourful eggs. Stefani checks in with each little boy as they search high and low for delicious treasure. There’s also plenty of footage of eggs being sampled, because – why wouldn’t you?! Yum. 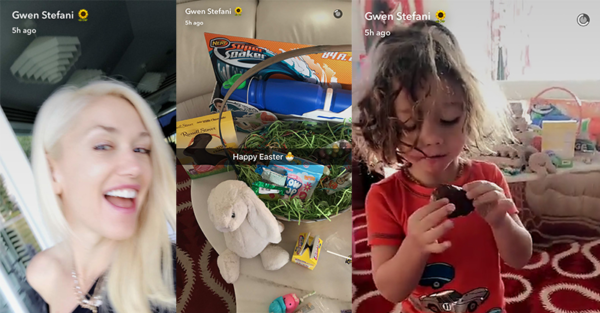 Gwen has also shared some snaps from an Easter church service, a whole bunch of amazingly arranged Easter baskets, frolicking family and friends, and a selection of other fancily decorated Easter things. Including Blake Shelton. It’s all intensely Easter-ish. We also spotted devilled eggs, matching rompers, cupcakes, peeps, feast-making and some kid-friendly Easter tunes being pumped up. The mood is definitely down-to-earth and surprisingly normal, despite Stefani’s superstar status. The 47-year-old judge from The Voice is now dating co-star Blake Shelton, after finalising her divorce to Rossdale in 2016. Shelton and Stefani have been pretty tight lipped about their relationship, but Gwen did reveal that things are going very well during an interview with People Magazine late last year. “I don’t really feel like I live in the Hollywood craziness,” she told People. Things certainly do seem pretty peachy – and chocolate-y – in the Stefani neck of the woods!